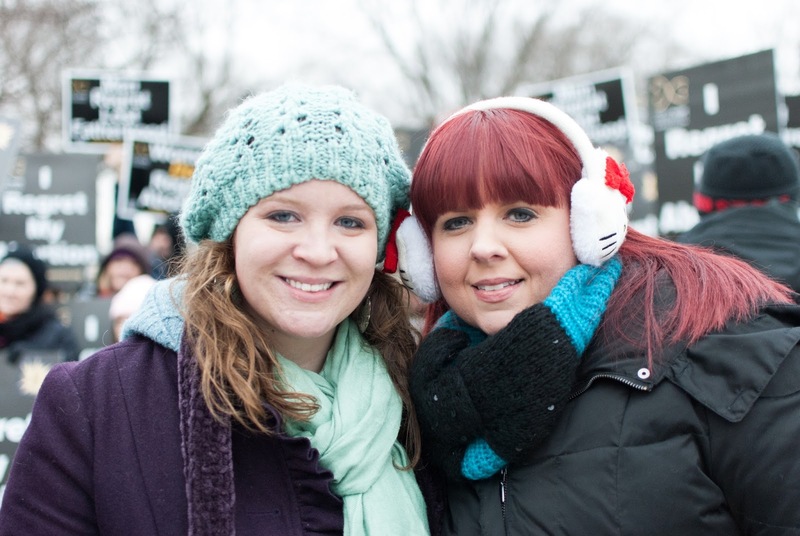 Rose and Her Lily: March for Life '13 in D.C.
Last Friday, January 25th, I marched in honor of my babies and all babies at the annual National March for Life in Washington D.C., which coincides with the anniversary of the Roe v. Wade Supreme Court decision. 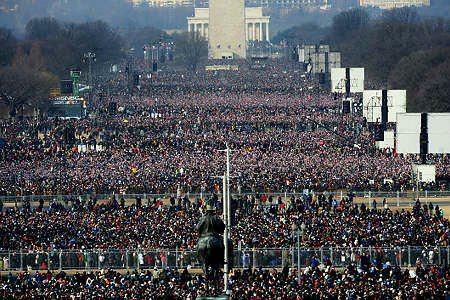 It is estimated that there were 650,000 people marching this year! 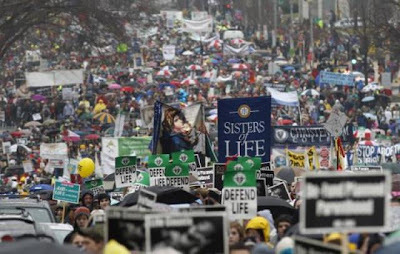 It is growing each year and I praise God that He is awakening hearts to the truth of abortion! I was so blessed to be a part of it. The Lord just opened up the doors for me to go. It was so special that my mom and sister, Emma, were able to join me. I was originally going to be staying with a friend who lives about an hour outside of D.C. But, the week of the March, it worked out for my family to come with me. Thankfully it worked out that way because the day of the March, it snowed and it would have been dangerous to drive back in that weather. My friend also would have had to leave the March early for work, so I would have missed out on things and might not have even gotten to speak! It was also special that we got to explore D.C. until Sunday. We went to the Holocaust Memorial Museum, saw the White House, and lots of monuments. Look at this amazing photo that captures the massive amount of people at the March! On Friday morning before the March, we got to hang out and have coffee and breakfast with the national staff of 40 Days for Life in the penthouse of the Hyatt Regency Hotel, overlooking D.C. There were windows all around the room and the view was incredible! 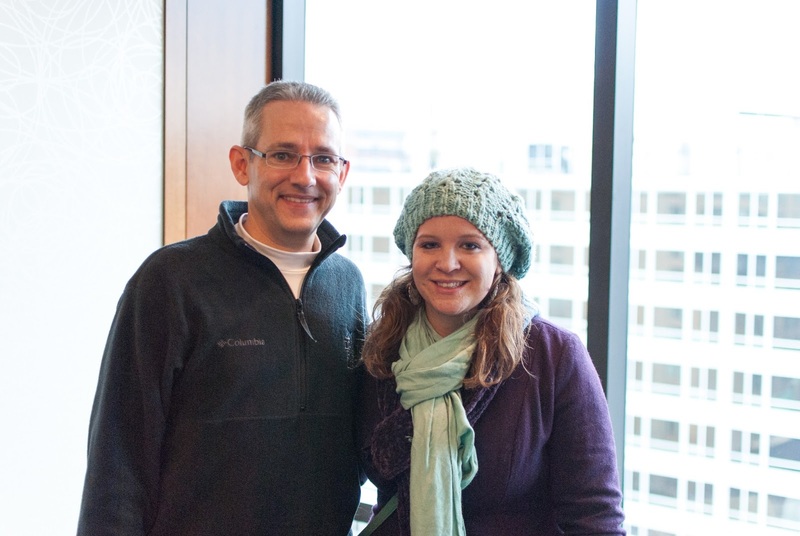 I got to meet David Bereit, the National Director of 40 Days for Life! He signed his and Shawn Carney's new book (which shares true stories of how God is moving one prayer at a time) for me and I gave him my website address, which he said he would visit to read my story. :) It was such an honor to meet and speak with him! I also got to see Shawn Carney again, Campaign Director of 40 Days for Life, after first meeting him in April 2011 at a prayer vigil at the Chapel Hill, North Carolina Planned Parenthood. He remembered me and my story! 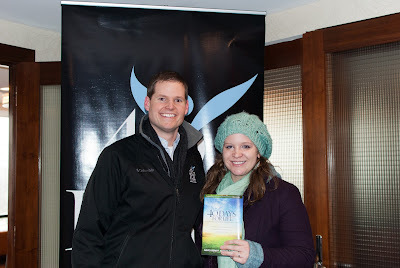 He was so touched by it that he shared it with his wife and sent me a signed copy of Abby Johnson's book, unPLANNED. When I first met him, he asked if he could share my story when he speaks and I of course said definitely. It was awesome to catch up with him and share a little of what God has been doing in the past almost two years. He also gave me some ideas on how to "get my story out there" more. I am holding up their new book in this photo, which Shawn signed as well. After leaving the 40 Days for Life gathering, we met up with the Silent No More Awareness Campaign group, who we marched with and who I shared my story with after the March. I got to meet lots of awesome men and women. 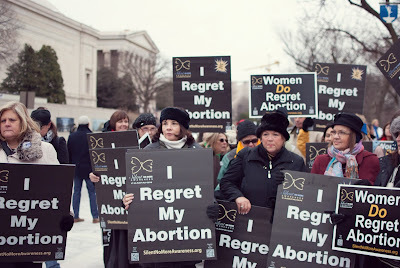 I got my "I Regret My Abortion" sign that I carried during the March. 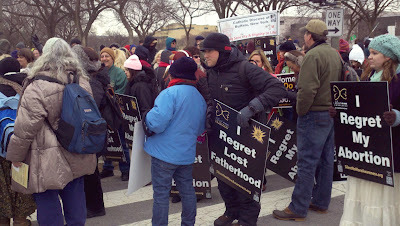 Here are several of the men and women courageously sharing their "I Regret" signs before the March. It was so touching to see all the signs and the precious people behind them. Each person represents a life who never got to live past the womb...it's heartbreaking, yet so beautiful to see these men and women speak the truth in love and be a voice for post-abortive men and women, as well as the unborn. I met Kelly Clinger, who is a spokesperson for Silent No More. 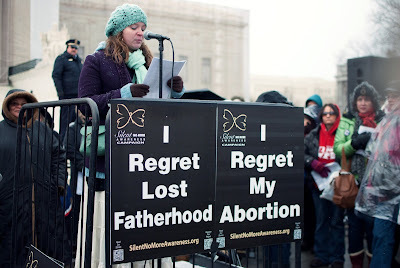 She travels around sharing her amazing story of her two babies who were aborted 12 years ago. She is a former backup singer to Britney Spears and was on the Mickey Mouse Club. You can check out more about her and her story on her awesome website! Here is the front of the March right before it started! Silent No More leads the March each year! It's hard to truly capture the number of people that were there, but here are some pictures that give an idea. There was a sea of signs and faces, with so many different ages, ethnicities, and church groups represented...yet, we were all there to march for the sanctity of human life. It was truly so powerful to be a part of. A lot of these pictures I found online. Since I was in the midst of the crowd, it was hard to get good pictures. It was also difficult since I was holding my sign and trying not to trip over anyone. It was quite an experience! It is almost hard to describe what it was like. It all happened so fast it felt like and I didn't fully get to take it all in. I wish I had time to hear all the speakers and meet more people, but there is always next year...and the year after that! You can see lots more photos of the March on Google. It is hard to grasp just how many people are there when you are in the midst of everything. I kept getting separated from the group and had to find my way back. I had to make sure not to bump into people or trip over anyone...it was just so packed, which is awesome! As we marched and I held my sign up high, tears kept coming to my eyes as I thought of how far God has brought me in four years. 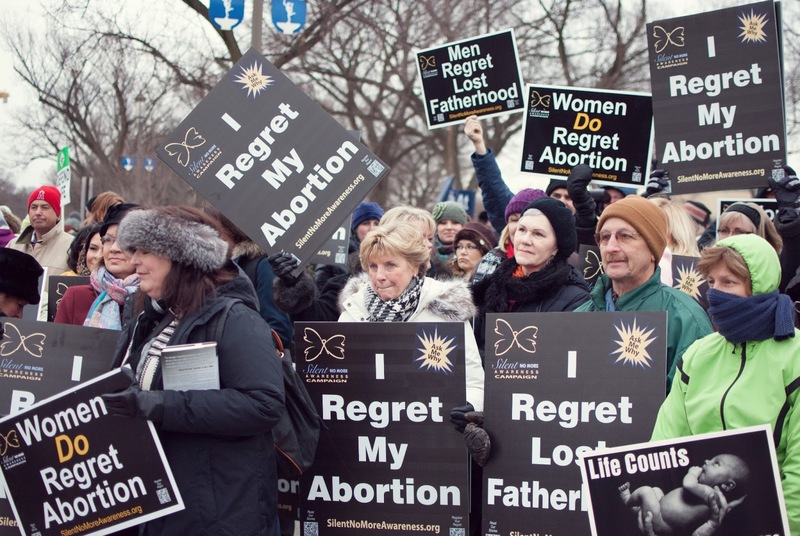 There I was, holding a sign stating in big, bold letters that I REGRET MY ABORTION, when not too long ago, I hoped nobody would ever find out about it. How much God can turn our lives around and how He amazingly heals our hearts! It brought me so much joy knowing I am keeping my promise to Luke and Lily, to always be their voice. I wore my new necklace for Luke close to my heart that says, "I Will Be Your Voice," with his name and Heaven Day on it. 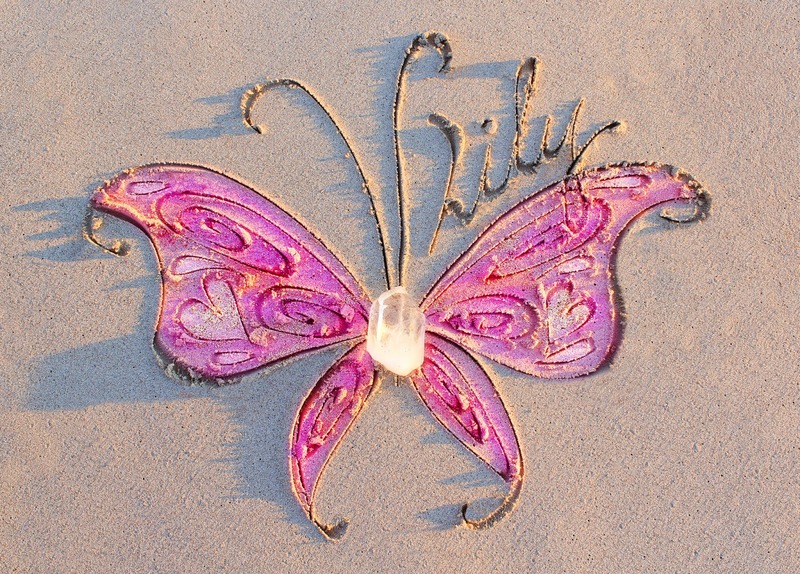 I also wore an angel necklace with Lily's birthstone in her honor. At the end of the March, the Silent No More Awareness Campaign gathered in front of the Supreme Court. It was a powerful time of people sharing their stories of regretted abortion. 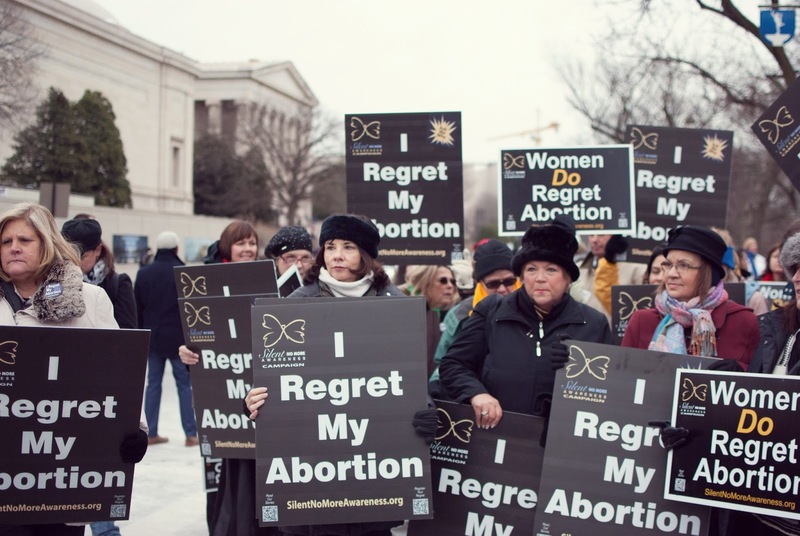 Though the stories were all so different and the women chose abortion for many different reasons, there was a common thread...regret...healing...hope and redemption in Christ. It was so amazing to hear all the women and men sharing about their precious babies who await them in Heaven. As the testimonies began, it started snowing heavily. Kelly Clinger said she praised God that He has washed us white as snow! How amazingly symbolic. As I walked up to the podium, all my nerves and fears just melted away. I knew that God had opened up the door for me to be there and He would give me the courage to speak to the massive crowd. I looked out at the sea of faces looking back at me and in my heart, fell to my knees thanking the Lord for such an amazing opportunity. 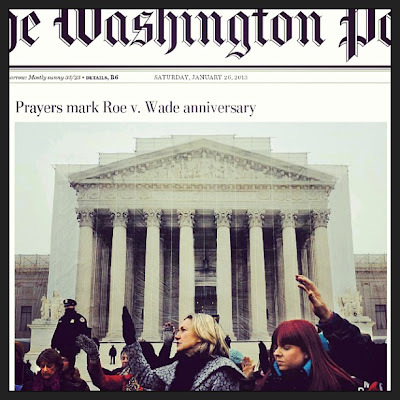 In less than two weeks, February 6th will mark the 4th remembrance anniversary of my abortion. I never could have dreamed while I was walking through that deep darkness all God had planned for my life. 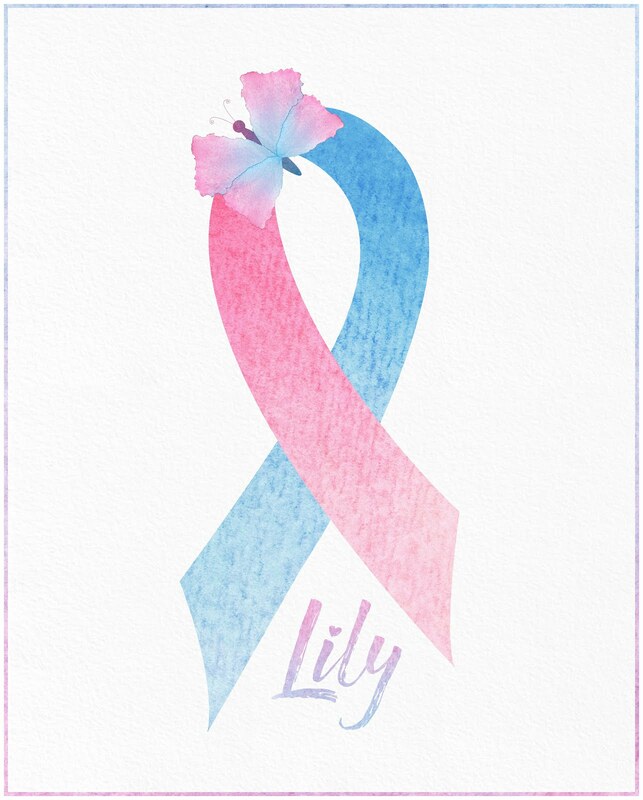 I didn't want anyone to know about the "choices" I was making, yet here I am now, standing up in front of anyone who cares to hear, and sharing about my Luke Shiloh and Lily Katherine. 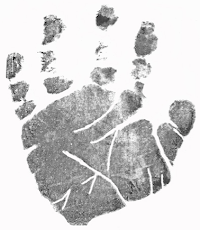 I never could have dreamed all He had planned for the lives and legacies of my children. He truly does have a glorious plan and purpose for each one of us, born and unborn. What an amazing God, that He can take our sin and pain, the very things the enemy means to destroy us with, and turn them into something truly beautiful. He promises to work all things together for our good and His glory and my story is a reflection of that promise. It was so amazing to be able to speak the name of Jesus there in front of the Supreme Court, in a country that doesn't put Jesus first anymore. His truth is still the same as it was when this country was founded on Christian principles. What an honor to share what He has done in my life and give hope to others that He can do the same in theirs! 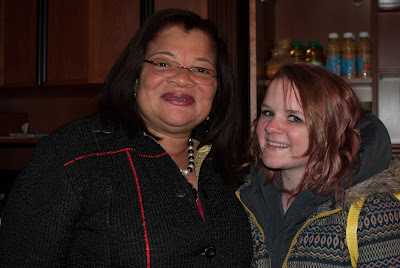 Dr. Alveda King (who is Martin Luther King Jr.'s niece) shared her story of her regretted abortions right after me! If you look closely in the photo, you can see her in the background. What an honor! She narrated the documentary film "Blood Money" which is so powerful and I recommend that everyone watches it to educate themselves on the truth of abortion. 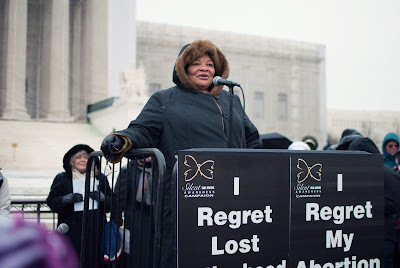 Here is Dr. Alveda King sharing her story! The Silent No More group made the front cover of The Washington Post on Saturday, the day after the March! There I am! Well...sort of. That's my turqoise hat in the background, but it's still way cool! My mom and I were joking that it's not every day your hat makes it on the cover haha. At least I know it's me. :) I went into Walgreens to get a copy of the newspaper and told the lady that was my hat! She thought it was neat. It is just such an awesome thing to be a part of! On the right is Kelly Clinger and in the center is Julia Holcomb, who was engaged to Steven Tyler, lead singer of the rock band Aerosmith. When she was 17 years old and 5 months pregnant, she was coerced into a saline abortion. She shared her amazing story of how Jesus Christ rescued and redeemed her! 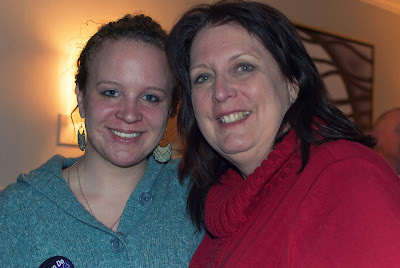 You can read her incredibly beautiful testimony here. Shortly after I shared, we went inside Union Station for a while to get some food and hot drinks and warm up. Later in the evening, we went to have a time of fellowship with the Silent No More group. We got to speak with Dr. Alveda King and told her I loved her! To which she replied that she loved me too and thought my story was beautiful. She thanked me for sharing my testimony. That was so special to me because she has been such a blessing in all she does for the unborn and those affected by abortion. 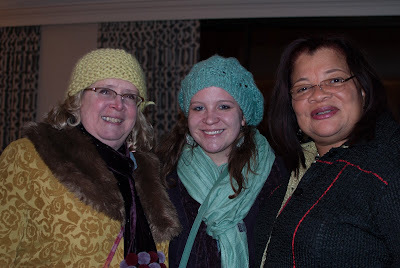 My mom, Ginny, and I with Dr. Alveda King. My sister, Emma, with Dr. Alveda King. I also got to meet Georgette Forney and Janet Morana, the Founders of the Silent No More Awareness Campaign. I wasn't able to get a photo with Georgette, but here is one of Janet and I. I got a copy of her amazing new book, Recall Abortion, and she signed it for me. 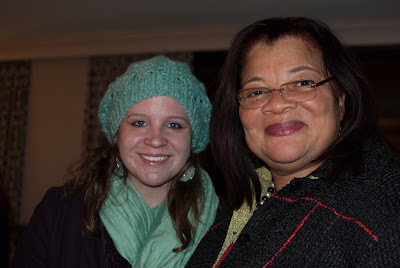 It was in her suite where we had a time of fellowship after the March. All the testimonies that were shared were recorded. Click here to watch the video of me speaking. In order to share, you will need to share the link to the video. It will eventually be uploaded to YouTube. 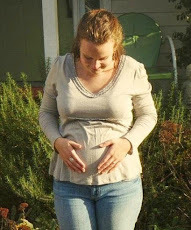 My life changed forever at the age of 19 when I had an unplanned pregnancy. 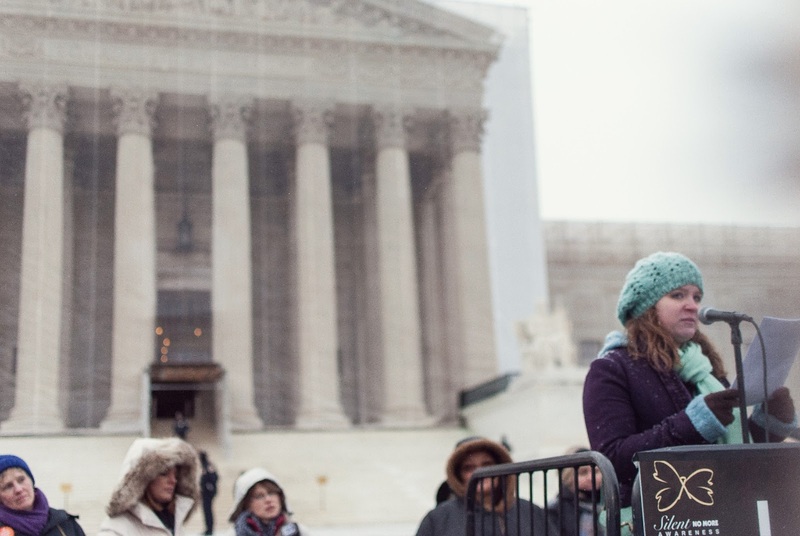 Growing up in a pro-life family, I never dreamed my beliefs would be tested. I didn't want to shame my family or live with a shattered future. 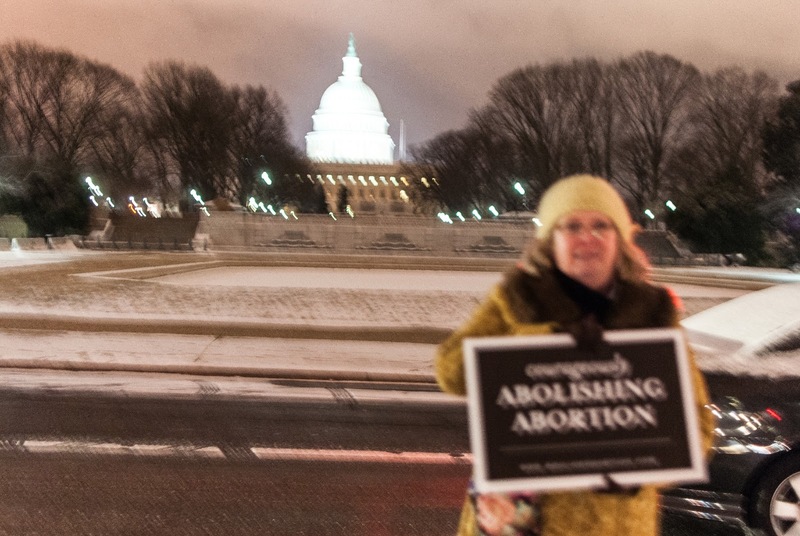 I convinced myself that ending my pregnancy at only six weeks gestation wasn't really an abortion. 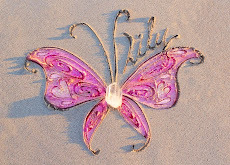 On February 6th, 2009, I took the RU-486 pill and after a night of darkness, it was over. I was relieved to get back to my normal life. 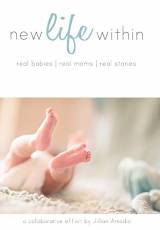 Trying to forget what I had done, over the next few months, I sought comfort for my wounded, aching heart through drinking and living promiscuously...Four months later, I was pregnant...again. I fooled myself into thinking I would get my life together after what I thought was another necessary abortion. 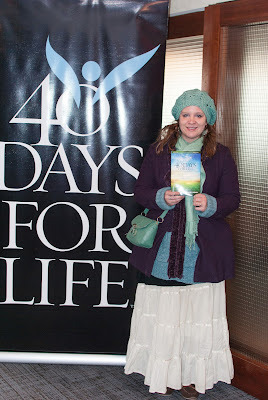 The appointment was set at Planned Parenthood...However, Jesus was fighting for me and for my unborn baby. 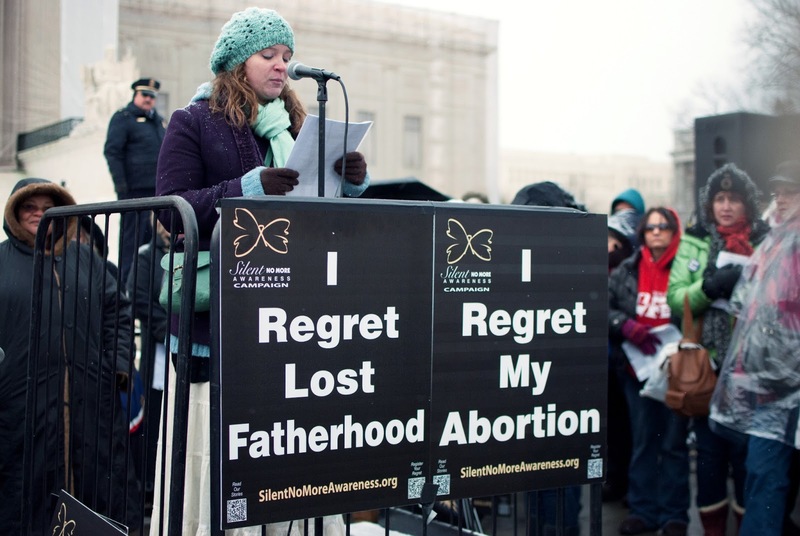 God showed me that if I chose to have another abortion, I couldn't imagine the pain and darkness that would follow. But, if I chose LIFE, I couldn't imagine the beauty that He would bring...Instead of walking through those clinic doors a second time, I chose to walk into the light towards freedom. It was as if the reasoning for abortion fell away when I knew God would be with me every step of my difficult journey. I was at peace knowing I was making the right choice - the choice of LIFE...On March 16th, 2010, ready to deliver my full-term daughter, I was told the devastating news that her perfect little heart was no longer beating...Through the lives of two babies who never spoke a word or took a breath, God is speaking that if you choose LIFE, no matter the outcome, you will have no regrets. Through choosing LIFE for my second child, God brought peace and healing to my heart that was broken from aborting my first... 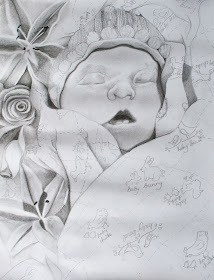 This is a tribute to my babies' precious lives and all God has done in me and so many others because of them. 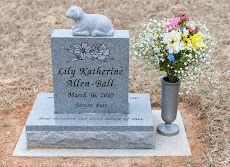 Luke Shiloh and Lily Katherine, I once wanted to be rid of you and hoped nobody would ever find out you even existed. Now, I want the world to know you are my children. I promise to always be your voice and to honor you in whatever way I can for as long as I live. That's why I am silent no more and why I believe abortion should be recalled! I speak for my King and His glory! I am so humbled and honored to have had this opportunity and that the Lord would work everything out for me to go. This has been a dream of mine for the past three years. God gave me the desire less than a month ago to truly pursue making this a reality, and here we are. I am really excited to see what doors the Lord opens up next for me to share my story. The day after the March, there was a gun-control march in D.C. 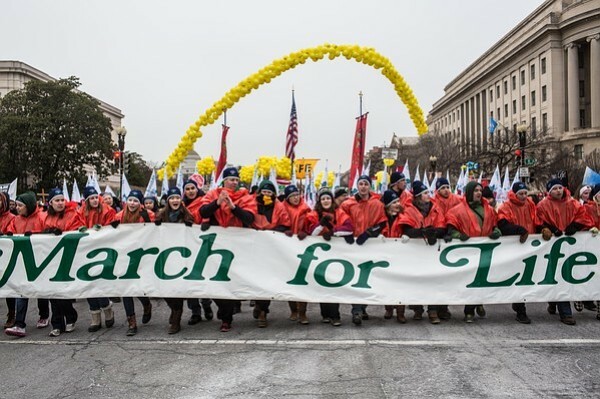 The media reported repeatedly on this march, but hardly said a word about the March for LIFE. How very sad, but true! Pray that hearts would be opened to the truth! I am sick of seing reports on whether or not Beyonce was lip-synching at the inauguration, whether or not Manti Te'o is trying to pull something over on everybody, and gun-control. 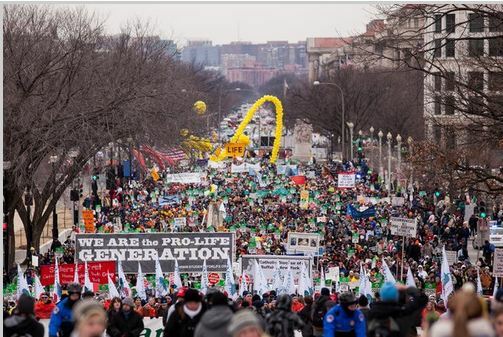 Why isn't it newsworthy to report over half a million people marching for LIFE in the capital city?! From the time we left the hotel to when we got back was 12 hours. It was a long day of riding the metro, walking to where we needed to be, marching, meeting people, sharing and hearing other people share, and just trying to keep warm! Thank you to everyone who prayed for safe travels, good health, and good weather (even though it was freezing in the 20's and snowed, it was still nice and people still came, obviously!) Pray that those who have had an abortion and need healing will begin their road towards hope and healing by turning to Jesus. 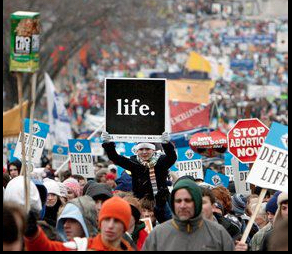 As I said about Sanctity of Life Sunday, I am going to say the same thing about the March for Life. We as Christians must be standing up for the unborn every day of the year, not just a couple days. Seek the Lord in what He is leading you to do to get involved. Here is a video I found with lots of clips from the March. You can get an idea of how many people were there. Labels: abortion, I Regret My Abortion, March for Life, National March for Life, Silent No More Awareness, Washington D.C. Thank you so much for marching for Life and sharing such a heartfelt testimony. God Bless you. I grieve for every child that has been lost and every mother who has been wounded through the terrible scourge of abortion. At the same time, it is so joyful to see the beauty God draws out of ashes, through brave and tender hearts like yours that collaborate with His grace. Hannah, what an amazing trip! I bet that was an experience you will never forget, meeting all those people and talking to them personally! WOW! I am so happy for you! You did an amazing job of shortening your story! I can't wait to hear see it on video! 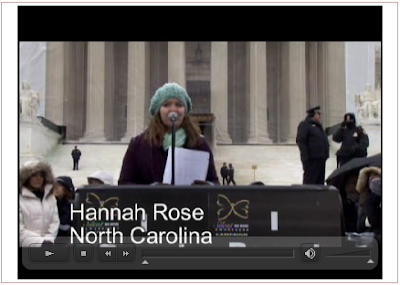 Thank you, Hannah Rose for sharing your story. You stand with great heroes like William Wilberforce [click to read]. Pam and I salute you. Just SO amazing! I'm in tears reading your experience b/c I could just feel how awesome it was. I so wish I could've went with you. Hopefully next year! !